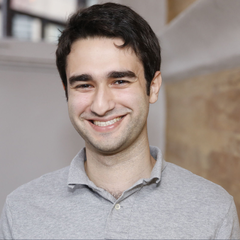 Dan Sapozhnikov is co-founder of AdGate Media, a company that helps game and app developers increase their revenues by allowing their users to engage with premium brands in exchange for virtual goods. With over 1.5 million apps on both the Apple App Store and Google Play today, you're likely to find an app for almost anything you can think of. But in my experience, despite the crazy growth that mobile is seeing, many developers have yet to figure out the most effective way to earn revenue. During mobile's early years, most apps simply copied and pasted what was working on web: banner ads. Unfortunately, banner ads generally provide a very unpleasant experience on mobile devices. They cause apps to lag, they take up valuable screen space, and they are often accidentally clicked. The growing number of downloads of ad blocking software is a clear indication that users are fed up. By using banner ads for monetization, you are not only making your users unhappy, you are likely missing out on larger revenue streams. The top-grossing apps are currently utilizing virtual currency. Most people have heard of Clash of Clans, Game of War and Candy Crush. There are hundreds of other games using this same model because it is widely successful. The idea is to create a currency (or multiple currencies) within your app. This currency can be gained through playing, earned by completing special offers from advertisements, or bought. This same currency is then spent on unlocking items or special content within the app. This is the type of ad implementation that our customers have had the most success with. We provide our mobile publishers with an offer wall that allows their users to interact with brands in order to receive virtual currency for free. This is arguably the best way to earn revenue if your app has features that can be unlocked, earned, traded, etc. There are two types of videos that can be used within apps: Rewarded and Not Rewarded. Rewarded video provides the user with some sort of in-app reward for watching. This can be virtual currency or directly unlocking some special content. Not Rewarded videos should be placed somewhere where they won't negatively affect the user's experience. In games, for example, they can be placed in between levels. Interstitial ads are full-screen advertisements that can also be placed in between levels. Interstitial ads can be interactive or a static image. Many of the top app developers utilize both videos and interstitial ads to earn significant revenues. I have seen many advertisers shift more and more budget to mobile video ads. This is a great way to monetize an app and is probably the easiest solution to implement without using banner ads. Native advertisements allow developers to earn revenue from display ads without interrupting the user at all. These are ads that blend in with the rest of your app. They are usually included as part of a list or feed (think Facebook's sponsored posts). While they generally take a bit of design and development work to implement, they result in higher click-through rates and CPM (cost per thousand impressions). I have seen some hugely successful native ad implementations, but earnings will differ greatly depending on the layout of your app and the execution. The best thing about the native ad format is that it is flexible and can work with almost any type of app. If your app makes use of a news feed or a list, this is a great way to maximize revenue per user. Even if your app does not use either of those elements, you can still likely make use of native ads. This is an old but popular method for generating revenue. App developers can create two separate versions of their app. One version is a free or "lite" version. It allows the user to demo their app, but it restricts any advanced features. The user then has the option to upgrade the app to a "premium" version with all features enabled. I've spoken to many publishers who are not happy with their banner earnings despite their high number of MAUs (monthly active users). This is why I believe it's important to figure out a monetization strategy before launching an app. If your revenue strategy is to "slap some ads on the app," you will almost definitely be leaving money on the table. Keep these monetization strategies in mind from the very beginning before you develop and promote your app.